At Country Joe Homes we have been building homes knowing that owning your own home is the center of American life. It is where we establish traditions, mold our family's values and form our identity. To that end we have endeavored to build creatively and beautifully designed homes that are more comfortable, more functional and full of light, so you can maximize the joyful times you have with those you love. We go the extra mile to ensure that each home is carefully built by having each home independently inspected and HERS rated. Our homes will save you money long after the moving boxes are empty. Responsiveness to the homeowner’s wants and needs has always been our number one priority. We will custom build on your lot or in one of our communities located throughout the Twin Cities. We want you to be in love with your home wherever you build. We are a local, family owned custom builder. We love to build and design homes that center on you and your family. We have been in the construction business since 2004. Our team is dedicated and hard working. We focus on great craftsmanship and superior customer service. "We build your house, you make it your home." Schrader & Companies(2012 Remodeler of the Year) is a Building and Remodeling company specializing in Homes of all sizes and price points. As your builder, we take pride in micromanaging every aspect of construction to protect and serve you. We will only work with the best partnering Companies in the industry from Architects & Interior Designers to Plumbers and Concrete. Our passion for thoughtful design & quality craftsmanship matches your passion for a beautiful home to live in for many years. Our years of experience in building/renovating finely crafted residences is evident from the moment you walk into your home touched by Schrader & Companies. We are a company that remains committed to maintaining a personal, one-on-one approach to every job we begin. Because we build and remodel a limited number of homes each year, we are able to give each of our customers the attention they deserve. From your initial design meetings through the building process to completion you will enjoy the opportunity to work directly with Andy Schrader and his team of professionals. For more information, and to view more photos of our homes please visit our website at: www.creativehci.com Creative Homes’ vision of customer service and excellence, has allowed the Creative Homes family to build a reputation as a premier builder. We are a unique home builder who knows that quality and attention to detail is what makes a new house a home. Our vision of quality and care, combined with our hands-on design approach ensures your home will be built with a distinction that reflects your style. Creative Homes is confident that the high expectation we have of ourselves, our trade partners and our customers are key to our success. Our customers value who we are, our approach to building lasting relationships and the quality of work we deliver. As you tour our homes today, all of us here at Creative Homes are confident you will see and appreciate the Creative Homes difference. After all, Creative Homes always puts the customer first. Ridge Construction specializes in the artful process of custom home building, large scale remodeling & additions. Our emphasis is building uniquely handcrafted homes driven by your design and ideas. Ridge Construction will exceed your expectations of extraordinary quality and service. Quality is assured by our dedication to fine craftsmanship, superior materials and high quality components. This excellence will continue to be our trademark in the future. We build only a handful of new homes each year, so you will know your project has our full attention to stay on schedule and budget. Please contact Rob or Mark today to discuss your project. Dream Homes for Real Budgets The best part of a new Brandl Anderson home is that it’s your home, built for the way you live. Starting with the floor plan, to products and colors, you don’t have to settle for someone else’s taste. It’s all yours. You can even choose where your new home is built, so your yard fits your needs. Front walk to back garden, every detail is up to you. Brandl Anderson builds more of the extras in every square foot. It's these "little moments" that give our homes charm, warmth, personality and most important, value. From stone hearths and solid counters to Kohler plumbing fixtures, you can see and feel the difference. Meier Companies, Inc. was founded on the belief that client involvement and a positive relationship is the key to a successful project and we are committed to a team-oriented approach in all phases of the home building or remodeling process. We believe in the value of collaboration within our office, with our design consultant, the building contractor, and most importantly, the owner. Clients look to us to take their ideas and elevate them into a design uniquely tailored to their taste. We work to keep the lines of communication with clients open at all times to ensure that we can craft a home that is uniquely their own. With this approach, it is possible to create a “signature” home with every project. We know it’s an important decision when you choose a builder for your home and it’s a decision that we don’t take lightly at Creek Hill Custom Homes. We achieve quality control by working with a carefully-selected team of experienced subcontractors and vendors who have proven their expertise in quality craftsmanship and superior products that will last the life of your home. So when you choose Creek Hill, you’ll work with a veteran builder and design team who truly know construction with a focus on workmanship, quality, and design driven by your unique lifestyle. From open gourmet kitchens and great rooms to bonus rooms made for growing families and indoor sport courts to four season rooms that offer fun as well as function, we are always redefining the design of our homes to meet our clients’ personalities as well as trends in architecture and construction that just keep getting better with time. For Burnsville residential home builders who also act as developers, the job starts well before the first nail is driven. They perform local market research to determine whether the prospective homesites make sense in the Burnsville, MN market, as well as survey the land on which the house will be built to make sure it is suitable for construction. Custom builders also obtain the necessary permits. 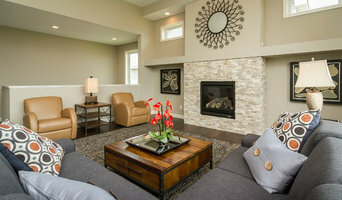 A good custom home builder in Burnsville, MN has skills that go far beyond construction — he or she must supervise subcontractors and artisans; keep tabs on local zoning regulations, building codes and other legalities; inspect work for problems along the way; and perform dozens of other roles that are essential in building a quality house. Here are some related professionals and vendors to complement the work of home builders: Interior Designers & Decorators, Landscape Architects & Landscape Designers, Architects & Building Designers, Kitchen & Bath Designers, Specialty Contractors. House builders are responsible for ensuring that the home-building project sticks as closely as possible to the specified timetable, particularly in the event of change orders. Custom and luxury home builders in Burnsville, MN also need interpersonal skills to deal with clients of all types, soothe frazzled nerves, negotiate conflicts and resolve problems. Find custom home builders in Burnsville, MN on Houzz. 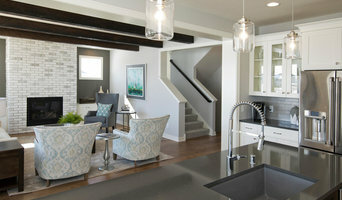 Narrow your search in the Professionals section of the website to Burnsville, MN home builders. You can also look through Burnsville, MN photos to find a house you like, then contact the builder who worked on it.